Pests can literally eat away at your home until there is nothing left to keep it standing. What are some warning signs of an infestation? While pests can be a homeowner’s worst nightmare, there are usually signs and symptoms of an infestation that can alert you to their presence. Learning about and searching for these cues can help you find the source of the problem, and allow you to take steps to eliminate the invaders before they destroy your home. Do you have rotting or vulnerable wood in or around the home? If you have a dead tree in your yard or wooden beams within your roof, deck, or attic, you should inspect it on a regular basis to ensure that pests, such as carpenter ants or termites are not present. You may never forget the time when you realized that you had an unwelcome pest within your home or business. You may have caught the intruder unaware as you walked into a room. You may have seen evidence that intruders had made themselves at home by enjoying certain food or other items that were accessible. While memories like these may not easily be forgotten, pests can be permanently removed from a building. In a way, pests are like people. Each one is looking for a place to live which takes care of various needs. Unfortunately, a pest may have decided to choose your home or business to live in. The great news is that pest control professionals in San Diego can take care of this situation in a timely manner. Drywood Termite Infestation? Call Termite Control Professionals Now! You can never fully understand how important termite inspection in San Diego truly is for the sake of your house unless you have suffered the ravages and home structural damage caused by a California termite attack. 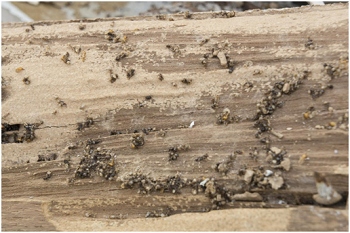 These horrible pests can wreak havoc and ruin on your wood-built house in a matter of a single silent and unnoticed infestation over a period of only a few years. While there are several different types of termites to harass you in the Golden State, drywood termites are some of the hardest to detect. The real problem with drywood termites lies in the difficulty of detecting these cryptic insects. They live and hide deep down inside of wood. You might never even see or be aware of them unless you are fortunate enough to catch them swarming or if you have repair work done on your house. If you have bees inside your house or just outside of it in San Diego, CA then you certainly need to talk to a professional about bee removal. Finding the bees can be a challenge. 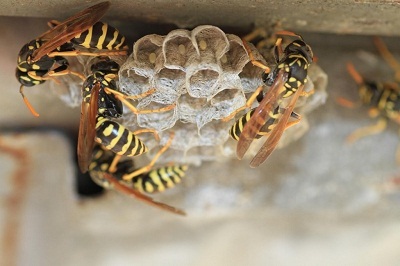 Removing them can be trickier, but you have to find them first if you are to engage a professional bee keeper or bee pest control specialist to get rid of the annoying and sometimes dangerous pests. When bees make a hive near your front door or windows, you can hardly miss them. Most of the time, they are shrewder than that and choose to construct their hives in places that can take you literally months to find. In fact, among the most common means of diagnosing a bee problem begins by first finding dead or live bees inside your house. Termites are some of the most common types of insects found in homes today. Though you may know that termites eat wood surfaces and components found in your home, you may not know that these insects also eat books, paper, and even the liners used in swimming pools. Pest control companies usually recommend that you use different methods to treat and control the termites living in your home. Pest control companies often use new types of computer software when monitoring your home for signs of termites. They can use these tools to get a good look at your home, find out where the termites live, and identify how those pests move through your home and around your property. This helps them decide whether baits will work, if your home needs to be tented, and where to place any baits they use. 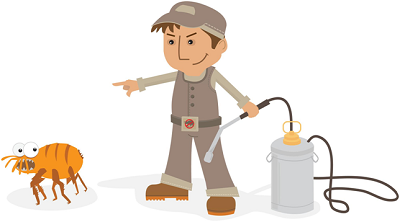 Two of the more common methods of treating termite infestations include baits and liquids. Baits are a type of trap that the exterminators place around the home. Termites are drawn to the baits, enter the traps, and then cannot leave. Exterminators may use a combination of baits and a liquid insecticide that kills any termites that touch the liquid. 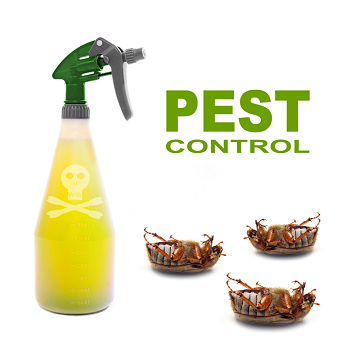 If you have a more serious infestation that baits and liquids will not treat, exterminators may need to tent your home and apply an insecticide throughout the house. Work with your exterminator to decide on the best treatment. Many homeowners are somewhat surprised when asked to prepare their property for termite treatment and shocked by what treatment involves. Before your pest control specialist arrives, you’ll need to iron out certain things. The pest control specialist who comes to your home may choose from two generally accepted options: liquid treatments and baiting. Both methods have their merits. With so many sprays and other products promising quick and easy bee removal, it would seem that the average homeowner should be able to make simple work out of removing an unwanted bee infestation. This isn’t actually the case, however, and there are many reasons why trying to remove bees on your own is a bad idea. Africanized bees are an extremely aggressive bee species developed by breeding African and European bees together. While only 10% of the bees in a European bee hive attack if the colony is threatened, all of the Africanized bees will attack if they are threatened. The result is an attack by thousands of bees that can sometimes be fatal due to the sheer number of stings involved. A professional has the right equipment to fend off such an attack. As honey bees die off at alarming rates, scientists are becoming increasingly concerned about the fate of the world’s food supply. Many fruits and vegetables won’t grow without bees to pollinate them, so exterminating bees by killing them with an insecticide isn’t a good idea. 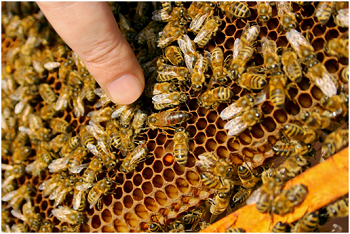 Pest control professionals may be able to remove and relocate the bees without killing them. The pros also know how to access bees in hard to reach places, so they won’t damage your property when pursuing bees inside walls and other structures. Although a DIY mindset can solve many problems, if you have bees in or around your home, opt instead to protect your own safety by calling for help from professionals. It’s livelier in the summertime with homes everywhere getting decked out for barbecues, pool parties, and family reunions—any excuse to soak up the sunshine and enjoy the company of friends and family. However, there may be unwelcome guests at your party every now and then, and pests—mosquitoes, ants, and wasps—are the top party crashers of the season. One’s home has always had tiny yet formidable enemies, and they could be lurking anywhere in the nooks and crannies of your living room and your bedroom. 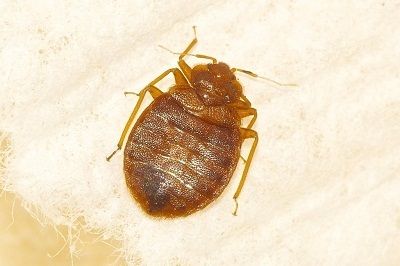 Bed bugs are pesky critters found within the dark corners and folds of your bedding and furnishings. They have been called “public health pests that need to be addressed seriously” by the Centers for Disease Control and Prevention and the U.S. Environmental Protection Agency. Antac Pest Control is your number one exterminator and pest control contractor in the San Diego area. We efficiently handle all types of pest issues so that you can return to normal life activities as quickly as possible. No pests are out of our reach. You can visit AntacPest.com for more details.